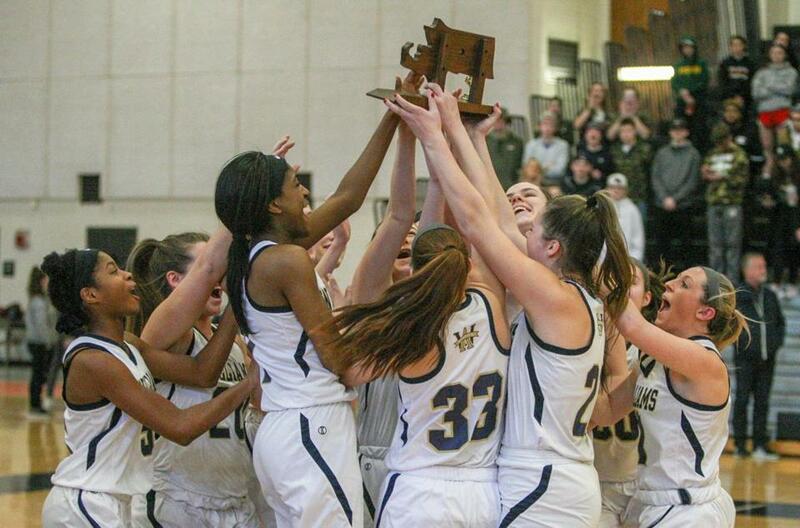 The Archbishop Williams girls’ basketball team will face Catholic Central rival St. Mary’s of Lynn in a state semifinal Wednesday after defeating Apponequet in Saturday’s South final in Taunton. Here are the dates and locations for the 2019 MIAA high school basketball semifinals scheduled for Tuesday and Wednesday. Tuesday — Worcester Tech vs. Drury (at American International, 7:30 p.m.). Wednesday — Nashoba Regional vs. Northampton (at American International, 5:30 p.m.). Wednesday — Hopkins vs. Monty Tech (at Worcester State, 7:30 p.m.).